Actually, Jeremy Renner, while being a great actor, is kind of a terrible archer. The reason he has so many arm guards on whenever he uses his bow in movies is because he doesn't know how to hold it properly. Meanwhile, Jennifer Lawrence was trained by Olympic archers and when she's not doing her signature "sideways shot" she actually demonstrates really good form. 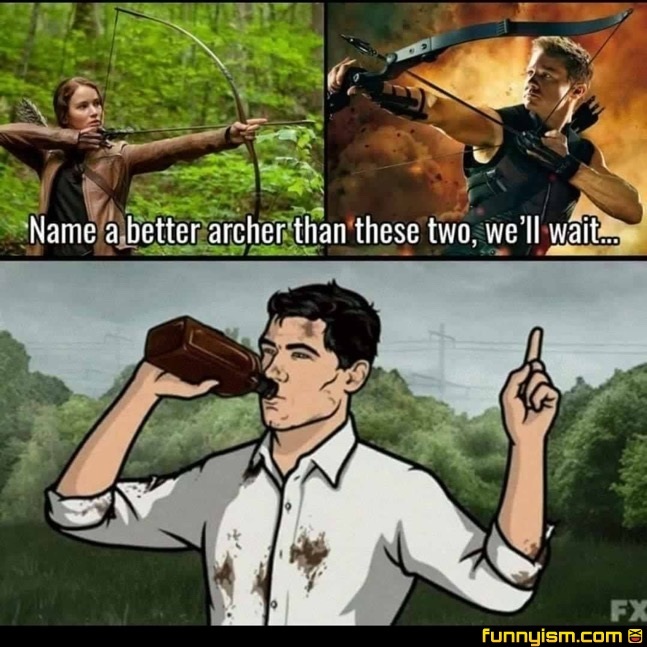 @Luciferthefalln1, does using crossbow counts as an archer?